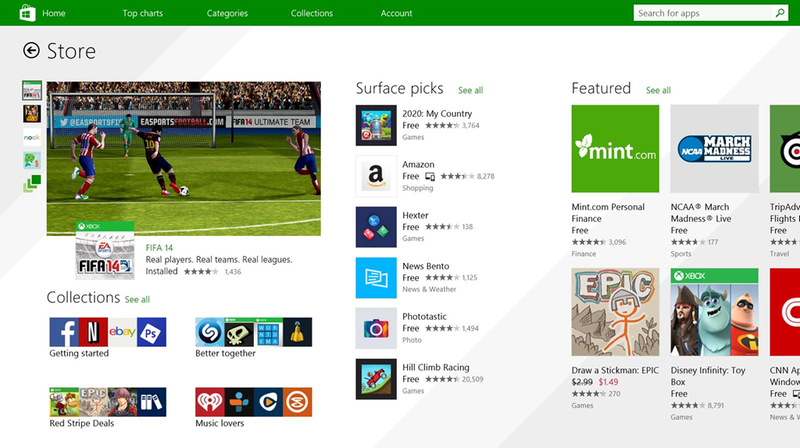 Tech O Blog : Windows Store gets a new look ! Windows Store gets a new look ! Microsoft has released the security patches and improvements to Windows as part of Patch Tuesday. The most visible change for Windows 8.1 users would be the new look of Store. It's a complete overhaul over the previous design and makes the most of the features more visible and easier to access. To get all the awesomeness of the new Store, just update your Windows with today's updates which will be installed automatically if you have enabled Windows update in your Windows device. Remember this update requires Windows 8.1 update to be installed.If you are still Windows 8.1 then you should update to Windows 8.1 update immediately to make the most of your Windows devices. Windows 8.1 and Windows RT 8.1 users will get the update. Read more about the new look of Store in Official Windows Blog. Do you like the new design ?